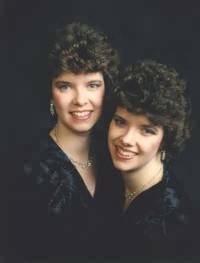 The Cann Twins' career on the recital and concerto platform has taken them to Europe, Middle East, the U.S.A., Canada, New Zealand and Japan. They also tour throughout the U.K., playing at major halls including the Royal Albert Hall, Royal Festival Hall, Barbican Hall, Fairfield Halls, Colston Hall, Bristol, St. David's Hall, Cardiff and the Glasgow Royal Concert Hall. They have performed concerti with many orchestras, including the Royal Philharmonic Orchestra and Concert Orchestra, the London Philharmonic Orchestra, the BBC Concert Orchestra, the Philomusica of London, the Wren Orchestra, The London Mozart Players and have performed in the International Series at the Royal Festival Hall. The Cann Twins have had many works written for them by international composers and have premiered works by Blinko, Blyton, Butler, Dunkin-Wedd, Elliott, Headington, Winter-Owens, Sainsbury and Stern. They gave the World Premiere of Timothy Blinko's Gemini Concerto (sponsored by Soundsense) with the English Sinfonia & Philip Ellis, and the Southbank Premiere of Max Bruch's Concerto for two pianos at the Royal Festival Hall. The identical twins studied at the Watford School of Music with Jean Merlow and Robert Pell before entering the Royal College of Music in order to study with the legendary duo-pianist Phyllis Sellick. They studied arranging for duo-piano with Gerald Gifford, graduating with first class honours in solo and duo-piano performance. As postgraduates they were awarded the President's Rosebowl, won scholarships to Banff School of Fine Arts, Canada, and by invitation of the Queen Mother they performed at the Royal Lodge, Windsor for Her Majesty Queen Elizabeth and guests. The Cann Twins frequently give masterclasses in America and have taught at the Royal College of Music, London, Royal Northern College of Music, Manchester and also Loyola University, New Orleans and Stetson University, Florida, U.S.A. as Visiting Professors. Claire and Antoinette have appeared on television in the U.K., Japan, the U.S.A. and New Zealand and regularly broadcast on radio in the U.K. for the BBC and Classic FM and also for other national radio stations abroad. Their recordings have won top awards, including Gramophone 'Critic's Choice', Classic FM 'Critic's Choice', HMV 'Best 49 CDs' and a rosette in the 'Penguin Guide to Compact Discs'.